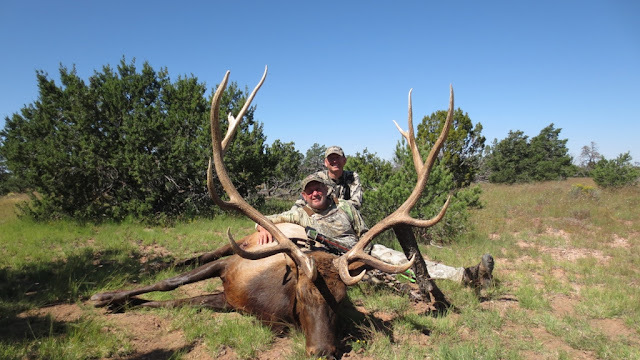 Colburn and Scott Outfitters is a licensed, permitted and insured Arizona based outfitter that offers guided and outfitted hunts for Elk, Coues Whitetail Deer, Mule Deer, Desert Bighorn Sheep, Antelope, Merriams Turkey, Gould's Turkey, and other big game animals. Colburn and Scott Outfitters offers guided hunts in Mexico as well for Coues Whitetail deer and Gould's Turkeys. We offer rifle, archery or muzzleloader hunts. Our Professional Guide team is made up of hardworking, reliable and highly skilled guides, Darr Colburn and Jay Scott. Our Guide team at Colburn and Scott Outfitters has been responsible for harvesting many record book big game animal trophies with clients for both Boone and Crockett and Pope and Young. Please view our record book trophies section of our site. Our motto has always been to focus on quality not quantity. You will not be "subbed out" with Colburn and Scott Outfitters. If you book with us then you hunt with us! We look forward to sharing a camp with you! COLBURN AND SCOTT OUTFITTERS focuses on a quality elk hunting experience for our hunters. Quality experience not quantity has been a motto of ours for years. 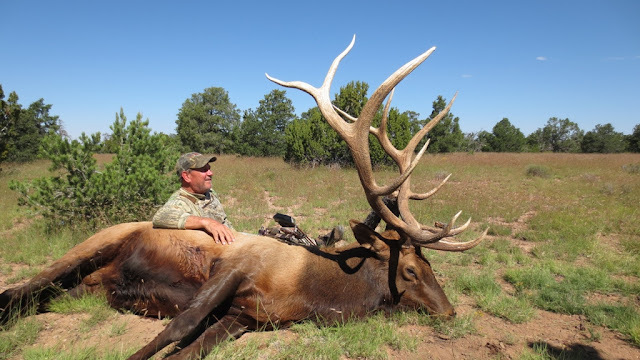 When you book a guided hunt with our quality elk guides you will get professional, hard working, knowledgeable, reliable and trustworthy guides. 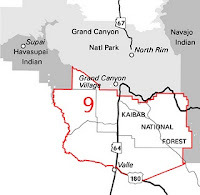 Our favorite units in Arizona to hunt elk are Unit 9, Unit 10, Unit 23 North and South in no particular order. Welcome to our site! 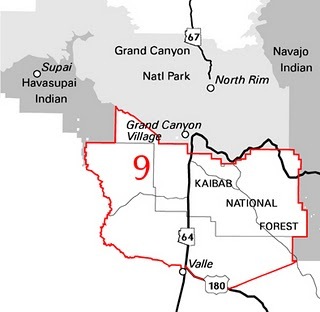 Arizona Unit 9-This elk unit is very huntable, has pines and junipers, good concentrations of elk, this year there will be some big bulls harvested, hunters can expect to see bulls between 320-360 on a regular basis. Elk are vocal in morning and usually around water in evenings. 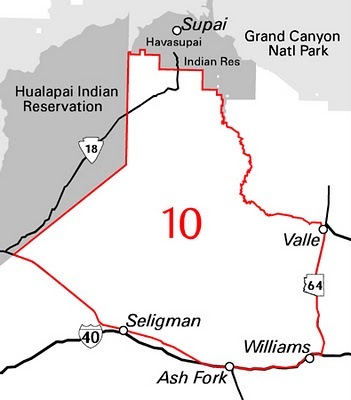 ***The AZGFD has changed this hunt around and the Muzzleloader hunt will now be in front of the archery hunt. This has been a very controversial decision and I am not sure that I like the change. I think the Muzzleloader hunt will be better than ever. The archery hunt being pushed back could be more prime rut bugling but there is a chance a handful of the biggest bulls will be gone in the back of the muzzy hunters trucks. It will be interesting to see if the archery hunt at later dates will be better or worse. A few giants will be taken this year on the archery and early muzzleloader hunts. The 2015 Arizona Archery elk season dates are September 18-Oct. 1st and Muzzleloader elk season dates September 11-18th. We really like Unit 9 because there are only 100 archery bull tags and no cow tags at the same time. Unit 23 North Archery and Early Rifle Elk Hunts- The terrain in this unit is not as physically challenging as 23 South, more accessible by roads, good bugling, hunters can expect to see 300-350 bulls on a regular basis, can be chaotic rutting action depending on the year. This unit will produce a few giant elk this year on the archery and early rifle hunts. 2015 Arizona Archery Elk season dates Sept. 11-24 and Early Rifle Sept. 25-Oct 1. For 2015, there are 15 archery tags in the North and only 15 tags for the Early Rifle hunt which makes for an enjoyable hunt. Unit 23 South Archery- Extremely physical terrain, low densities of elk, not for your average joe hunter, lots of distance between bulls bugling, not big pockets of bugling bulls like other units but has some big boys, 300-350 bulls are seen everyday but not in as many numbers as other three units. This unit will produce a few giants this year. 2015 Archery Season dates Sept. 11-24th. 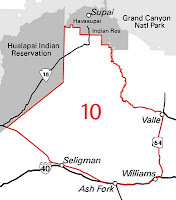 ***The AZGFD has added a 5 tag early rifle hunt in 23 South this year. It should be a phenomenal hunt. Unit 23 is our favorite for Late Rifle Elk Hunts 2014 Season Dates Dec. 4-10th. 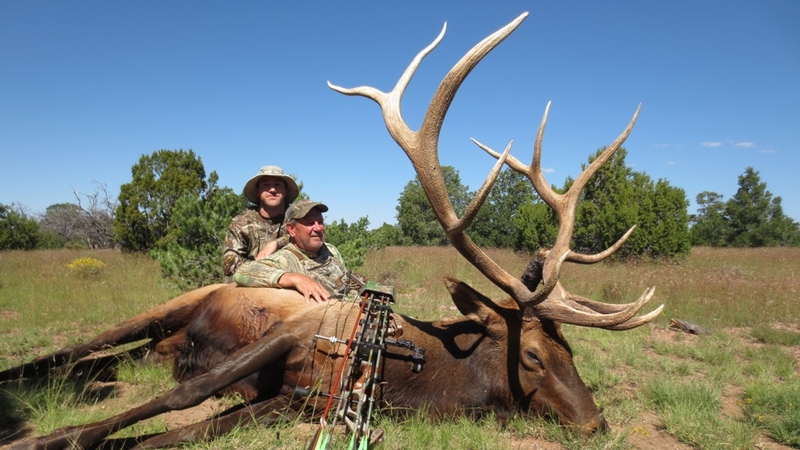 "I hunted archery Elk in Arizona with Darr Colburn. It was a great experience. He spent a lot of time in the unit before opening day and had numerous bulls located. Darr is very skilled and just always seems to be able to make something happen. My hunting partner and I both killed really good bulls on this trip. When I draw again I’ll be calling Darr and Jay. "Tim Aldinger Ridgefield Wa. MAKE SURE TO CHECK OUT THE COLBURN AND SCOTT OUTFITTERS 400 CLUB! 2012 Archery Season- Colburn and Scott Outfitters hunter Jeff Hartland hunted with guide Darr Colburn and harvested a beautiful 7X7 380 inch bull on his 2012 Arizona archery elk tag in Unit 9. Jeff and Darr had a fantastic hunt passing up many bulls until the 10th morning when Jeff arrowed his biggest elk with a bow. Congrats to Jeff on his fine trophy! 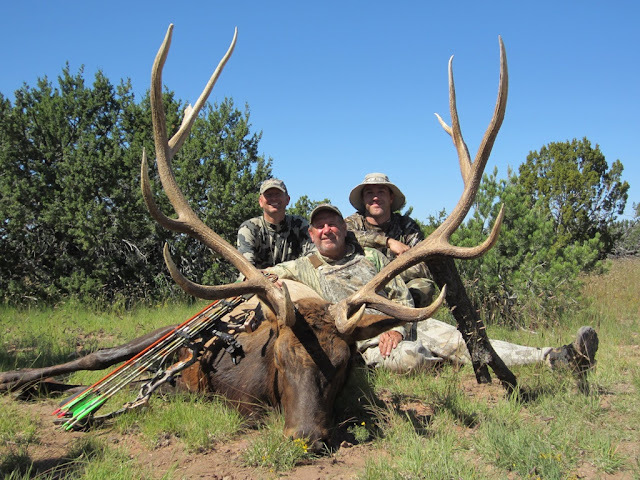 2012 Archery Season- Colburn and Scott hunter Jim Fitzgerald with guide Jay Scott on his 2012 Arizona Unit 9 archery elk tag. 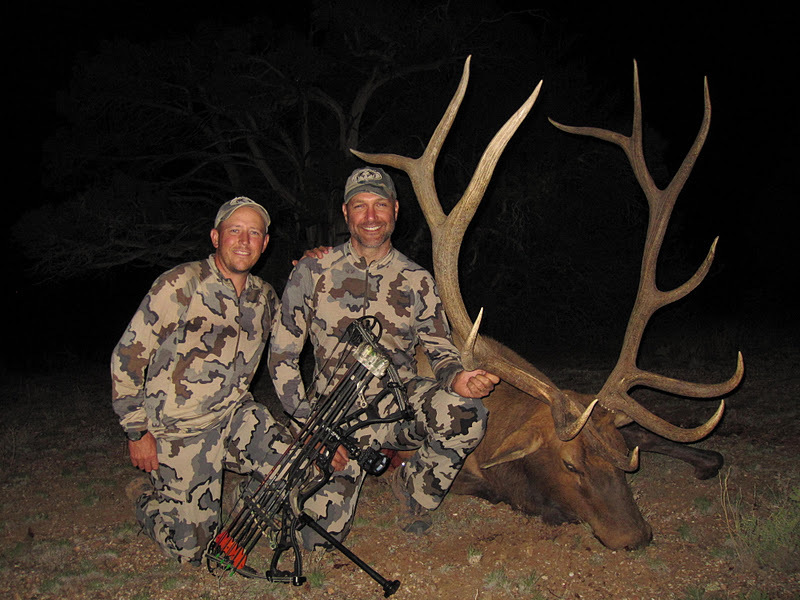 We had a great hunt and Jim was able to harvest a very nice 6X6 bull. Joining Jim on his hunt was one of his sons, Neil Fitzgerald. Unit 9 was very good this year and bulls were found in every corner of the unit. The grass was green and the bulls bugled very well throughout the hunt. It was just and average antler growth year but we were able to find some great bulls. Congrats to Jim on a fine bull! Below are some videos of Jim's Hunt, the first video was of Jim's hunt that was featured on Cabelas Out west and the second is a video that was filmed and edited by Jim's son Neil Fitzgerald of Mad Scientyst Productions.